The following pages were originally intended to form the basis of a separate work, entitled "A Key to the Secret Symbols of the Rosicrucians." As the idea of bringing out such a book has been abandoned for the present, they have been added as a suitable appendix to the foregoing historical notes. It will be found that the doctrines presented herein contain the most profound secrets, especially in regard to the "resurrection of the flesh." They go to show that the physical body is neither a useless nor a despicable thing, and that Matter is as necessary to Spirit, as Spirit to Matter. Without the presence of a living body no resurrection could take place; neither could the Spirit have any relative existence without the presence of a material form. The state of Nirvana is not to be attained by merely dreaming about it, and before Man can rise superior to anything he must have attained that to which he desires to become superior. Only from the soul resurrected within the body of flesh arises the glorified spirit. Ex Deo nascimur. In Jesu morimur. Reviviscimus per Spiritum Sanctum. IN THE PRONAOS OF THE TEMPLE OF THE TRUE ROSY CROSS. 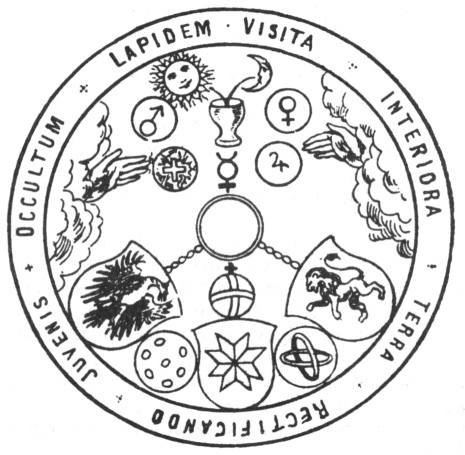 THE place or state wherein the true Rosicrucian lives is far too exalted and glorious to be described in words. When we enter the vestibule of the temple of the true Rosy Cross, we enter into a region of unalloyed bliss and happiness. There is an effulgence of super-terrestrial light, where all laborious thinking and exercise of the imagination for the purpose of drawing logical inferences about the unknown, ceases, for in that light is the realm of pure knowledge; to live there is to perceive, and to perceive is to know. Into .that paradise of celestial consciousness nothing impure can enter. No room is there for terrestrial flesh and blood; but the spiritual beings which inhabit that realm are made of the flesh and body of "Christ," in other words, of the substance of the spiritual soul. [paragraph continues] Brotherhood, and if one of these superior beings, for some purpose or other, reincarnates in a human body upon this planet, then will there be a real Rosicrucian in a visible form upon this earth. The "history" of that "brotherhood" is the history of the evolution of the world, and that of the spiritual regeneration of the soul and the body of man; for although each of these individual beings had its own terrestrial history and experiences in passing through many incarnations upon this planet, nevertheless, in its essential points the history of all is alike, and consisted in the conquering of the low and the unfoldment of the high. They all had to bear the Cross of suffering before they could become crowned with victory; they all had to crucify their selfish and personal will, and die in regard to all that attracts the soul to the sphere of earthly desires and illusions before they could have the spiritual faculties of their souls unfolded like the Rose whose leaves are unfolded by the rays of the rising sun. 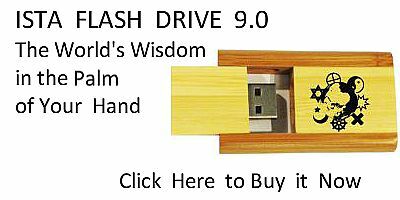 To "love God" means to love wisdom and truth. We can love God in no other way than in being obedient to Divine law; and to enable us to exercise that obedience conscientiously requires knowledge of the law, which can only be gained by practice. The door to the inner temple is called "Contentment"; but no animal can enter therein, only he who walks uprightly, being conscious of his true dignity as a human being. Without energy, nothing can be accomplished; and only in the silence, when all thoughts and desires are at rest, can the Divine harmonies penetrate to the internal ear. THE DUTIES OF A ROSICRUCIAN. Nor will the "hundred years" be over until man has awakened to the consciousness of his own divine nature. THE SECRET SIGNS OF THE ROSICRUCIANS. the advantages or riches which others possess, but wishes always the best to everybody. He knows that he will obtain all he deserves, and he cares not if any other person possesses more than he. He expects no favours, but he distributes his favours without any partiality. ridiculed by the would-be wise, and taunted by the fool. All such proceedings, however, cannot excite or irritate the mind of the true Rosicrucian, nor disturb the divine harmony of his soul; for his faith rests in the perception and knowledge of the truth within himself. The opposition of a thousand ignorant people will not induce him to desist from doing that which he knows to be noble and good, and he will do it even if it should involve the loss of his fortune or of his life. Being able and accustomed to direct his spiritual sight towards the divine, he cannot be deluded by the illusions of matter, but clings to the eternal reality. Being surrounded by angelic influences, and listening to their voices, he is not affected by the noise made by the animals. He lives in the company of those noble beings, who were once men like others, but who have become transfigured, and who are now beyond the reach of the vulgar and low. the power to transform man into a divine being. The ROSICRUCIAN seeks, therefore, no other light but the light of truth, and this light he does not enjoy alone, but in company of all who are good and filled with its divine majesty, whether they live on this earth or in the spiritual state; and he enjoys it above all with those who are persecuted, oppressed, and innocent, but who will be saved by the truth. 14. The Rosicrucian's hope is firm. practises. If all names were changed and all languages altered, the truth would remain the same; and he who lives in the truth will live even if all nations should pass away. 1. Jasper (dark green). 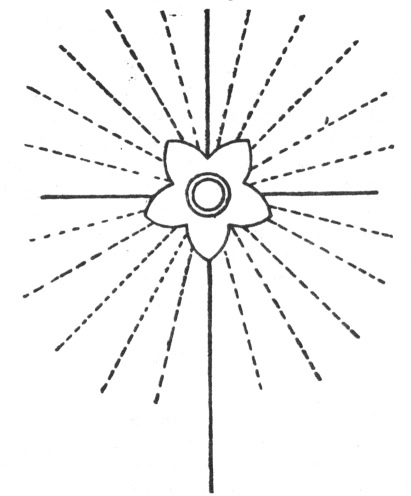 The power of active light, multiplying itself to a sevenfold degree, and evolving seven states of the one light, by which the seven states of darkness may be consumed. 2. Hyacinth (yellow). LOVE, born from the matrix of Light, manifesting itself as it grows, and emitting red rays. Its power overcomes the spirit of anger and violence. 3. Chrysolite (white). Princely wisdom. It confounds that which is foolish and vain, subdues it, and comes out of the battle victorious. 4. Sapphire (blue). Truth; originating and growing out of its own essence. It overcomes doubt and vacillation. 5. Smaragd (green). The blooming spring in its eternal justice, destroying the unjust attributes of a perverted and degenerate nature, and opening the fountain of infinite treasures. 6. Topaz (golden). The symbol of peace, mild and pleasant. It suffers no impurity or division to exist, neither does it admit that which causes separation and quarrels. It heals ruptures and cures wounds. 7. Amethyst (violet). Impartiality, equilibrium of justice and judgment. It cannot be falsified, bent, or counterfeited. It weighs all things in the scales of justice, and is opposed to fraud, cruelty, or tyranny. 8. Beryl (diverse colours). Meekness, humility; the equal temperature of the spirit, being kind and good, and overcoming wrath, stubbornness, and bitterness. 10. Chrysoprase (light green). Invisible power and strength, overcoming all opposition, allowing nothing to remain which could possibly resist the law. 11. Sardonyx (striped). Triumphant JOY and gladness, flowing from the eternal fountain of happiness, destroying all sorrow and sadness. (May it bless you!). 12. Chalcedony (striped). The crown of Victory, dominion, glory. The keystone and the greatest of all miracles, turning everything to the glorification of GOD. 11. Jacob's ladder with seven steps, reaching from the earth up to heaven. Inscription: Descendendo ascendendo. 18. A painter's easel, with a cloth ready for painting. Inscription: Qua forma placebit. 53. Noah's dove with an olive branch. Inscription: Emergere nuntiat orbem. Epilogus.Noah's ark in tranquil water. Inscription: Non mergitur, sed extollitur. SIGNS REFERRING TO THE DIVINE CHILD. Prænesis.A hen with chickens under her wings. A hawk preying in the air above. Inscription: Sub umbra alarum tuarum. Emblema. 1. A figure kneeling and holding a book wherein is represented a fiery heart. Inscription: Tolle lege. 2. Altar upon which a fire is lighted by a sunray. Inscription: Extinctos suscitat ignes. 3. Sunray falling through a lens and setting a ship on fire. Inscription: Ignis ab Primo. 4. Sun shining upon a lambskin extended upon the earth. Inscription: Descendit de cæ is. 5. A chrysalis upon a leaf. Inscription: Ecce venio. 7. The sea and the rising sun. Inscription: Renovabit faciem terræ. 8. A rising sun eclipsed by the moon. Inscription: Condor ut exorior. 9. A chicken and an eagle in the air. The former is protected against the latter by a shield. Inscription: A facie persequentis. 10. A rose in the midst of a garden. Inscription: Hæc mihi sola placet. 11. A lamb burning upon an altar. Inscription: Deus non despicies. 12. Dogs hunting. Inscription: Fuga salutem. 13. A lamb dying at the foot of a cross. Inscription: Obediens usque ad mortem. 14. The ark of the covenant. Rays of lightning. Inscription: Procul este profani. 15. Sun in the midst of clouds. Inscription: Fulgura in pluvium fuit. 16. Sun shining upon sheep and wolves. Inscription: Super robos et malos. 17. A well and a pitcher. Inscription: Hauriar, non exhauriar. 18. Animals entering the ark. Inscription: Una salutem. 19. Shepherd carrying a lamb. Inscription: Onus meum leve. 20. Sheep drinking at a well. The water is stirred by a pole. Inscription: Similem dant vulnera formam. 21. A dove sitting upon a globe. Inscription: Non sufficit una. 22. Light penetrating the clouds. Inscription: Umbram fugat veritas. 23. A vineyard and the rising sun. Inscription: Pertransiit beneficiendo. 24. Three hearts with a sieve floating above them. Inscription: Cælo contrito resurgent. 25. Swan cleaning his feathers before proceeding to eat. Inscription: Antequam comedum. 26. A hungry dog howling at the moon. Inscription: Inanis impetus. 27. Ark of the covenant drawn by two oxen. Inscription: Sancta sancte. 28. A winepress. Inscription: Premitur ut experimat. 29. An opening bud. Inscription: Vulneribus profundit opes. 30. Amor shooting arrows at a heart. Inscription: Donec attingam. 31. Cross and paraphernalia for crucification. Inscription: Præbet non prohibet. 32. A sunflower looking towards the rising sun. Inscription: Usque ad occasum. 33. Drops of sweat falling down in a garden. Inscription: Tandem resoluta venit. 34. Sword protruding from the clouds. Inscription: Cædo noncedo. 35. Hammer and anvil, a forge and a fire. Inscription: Ferendo, non feriendo. 36. A ram crowned with thorns upon an altar. Inscription: Victima coronata. 37. A sheep carrying animals. Inscription: Quam grave portat onus. 38. A crucified person and a snake upon a tree. Inscription: Unde mors unde vita. 39. A tree shedding tears into three dishes. Inscription: Et læsa medelam. 40. A spring fountain. Inscription: Rigat ut erigat. 41. A heart offered to an eagle. Inscription: Redibit ad Dominum. 42. A heart upon a cross surrounded by thorns, crowned with a laurel. Inscription: Pignus amabile pacis. 43. Bird persecuted by a hawk seeks refuge in the cleft of a rock. Inscription: Hoc tuta sua sub antro. 44. Target with a burning heart in the centre; Amor shooting arrows at it. Inscription: Trahe mi post te. 45. Pelican feeding her young ones with her own blood. Inscription: Ut vitam habeant. 47. Phoenix sinking into the flames. Inscription: Hic mihi dulce mori. 48. Blood from a lamb flowing into a cup. Inscription: Purgantes temperat ignis. 49. Clouds from which proceed rays of lightning. Inscription: Lux recto fatumque noscenti. 50. Eagle flying towards the sun. Inscription: Tunc facie ad faciem. Epilogus.A hedgehog, having rolled in fruits, is covered with them. Inscription: Venturi providus ævi. He who can see the meaning of all these allegories has his eyes open. It is, beyond any doubt, most certain and true, that the Below is like the Above, and thereby can be accomplished the miracle of one only thing. As all things are derived from only one thing, by the will and the word of the One who created it in his mind; likewise all things result from this unity by the order of nature. Its father is the sun, its mother the moon; the air carries it in its womb; its nurse is the earth. This thing is the origin of all perfections that exist throughout the world. Its power is most perfect when it has again been reduced to earth. Separate the earth from the fire, and the subtle from that which is gross; act with prudence, understanding, and modesty. It rises up from the earth to the heavens, and returns again to the earth, taking unto itself the power of the Above and the Below. Thus you will obtain the glory of the whole world. Therefore discard all ignorance and impotency. This is the strongest of all powers, for it overcomes all subtle things, and can penetrate through all that is gross. Thus was the world created, and from this originate rare combinations, and are wrought miracles of various kinds. Therefore have I been called Hermes Trismegistus, having obtained three-parts of the wisdom of the whole world. This is what is to be said about the masterwork of the alchymical art.